Residential Recycling Event on August 12, 2017, from 9 am to 12 pm, at the IRC Intergenerational Recreation Center, 1590 9th St. S.W. in Vero Beach. VERO BEACH – Indian River County Solid Waste Disposal District and Waste Management are hosting a Residential Recycling Event on August 12, 2017, from 9 am to 12 pm, at the IRC Intergenerational Recreation Center, 1590 9th St. S.W. in Vero Beach. Vero Beach residents are welcome to bring a wide variety of electronics and household hazardous waste (HHW) including, but not limited to: computers, keyboards, media players, monitors, microwave ovens, household cleaners, polishes, pesticides and herbicides, pool chemicals, paint (5 gal. ), transmission fluid, and propane tanks. There is no charge, and all materials will be safely and securely recycled. Recycle your electronics and/or HHW and you could have a chance to win a free laptop, courtesy of NWI Recycling! 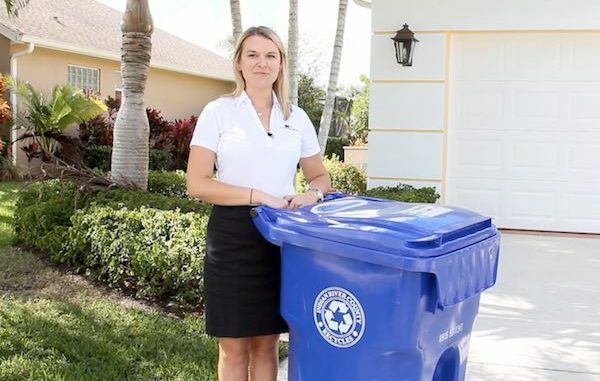 For more information or to see a list of acceptable items at the Vero Beach event, visit www.ircrecycles.com or call 772-770-5112. Signup for the free Sebastian Daily newsletter for your chance to win free dinners and merchandise! Copyright 2019 SebastianDaily.com All rights reserved. This material may not be published, broadcast, rewritten, or redistributed. Andy Hodges grew up in Jupiter, Florida where he began his career in radio and TV broadcasting for over 12 years. He would make a career change to computer programming. Andy spent seven years working for tech companies in Atlanta before moving to Indian River County in 2002. He returned to the news sector in 2005 as a writer. Andy joined Sebastian Daily in 2016 as our editor in chief. What else is going on in Sebastian? Subscribe to our newsletter to receive more news and offers around town.